I had something in my head, a very particular something. So I sought out an indie dyer to help me with the idea. This is the sneak peak – secret sneak peak! Wish me luck. Its on its way to me and I hope I can do it justice with the design that is in my head. It’s soft and squishy and super wash (kid friendly) and I can’t wait to get my hands on it! 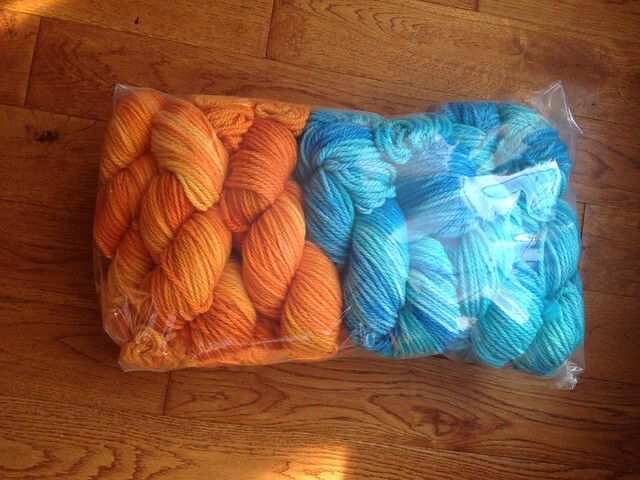 Psst.. check out Fable Fibers, because Lelah is a sweet and amazing indie dyer! I was so hoping that yarn was some commercial yarn you were going to link and not from an indie dyer! Those are my son’s absolute favorite colors and I’ve been thinking of making him a sweater.